Asiad Steels is one of the distinguished suppliers and manufacturers of Monel K500 Fasteners. 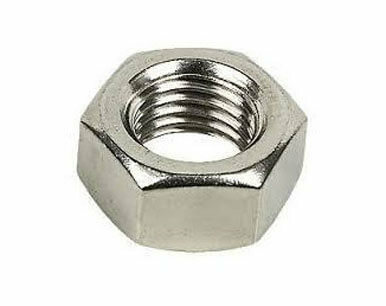 We also offer the same in different types such as Monel K500 Nuts, Monel K500 Bolts, Monel K500 Washers, and Monel K500 Stud Bolt. These amplified properties, strength and hardness, are obtained by adding aluminum and titanium to the nickel-copper base and by a thermal processing used to effect precipitation, typically called age hardening or aging. We offer a wide range of Monel K500 fasteners that are used in different industrial applications. Monel UNS N05500 Fasteners is used for pump shafts, oil-well tools and instruments, doctor blades and scrapers, springs, valve trim, fasteners, and marine propeller shafts. 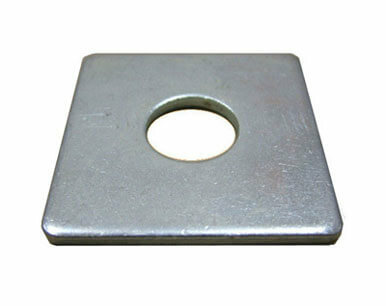 Standard product forms are round, hexagon, flats, forging stock, pipe, tube, plate, sheet, strip, and wire. Monel Din 2.4375 Fasteners have special quality finishing and duress for long life, high pressure and zero defects. Testing to Mil-S-1222 compliance is very typical of this material and we are capable of providing full certifications. Though used for a wide variety of applications, Monel alloy K-500 is specifically popular in a number of fields including: Chemical Industry (valves and pumps), Paper Production (doctor blades and scrapers), and more. It has Good resistance to impingement attack, High fatigue strength in seawater, and Low magnetic permeability. Nickel & cobalt base corrosion, temperature and wear-resistant alloys, such as MONEL K500, are classified as moderate to difficult when machining, however, it should be emphasized that these alloys can be machined using conventional production methods at satisfactory rates. 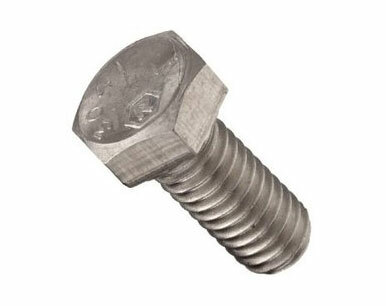 Buy Alloy K500 Fasteners at reasonable rates from us. We are Exporter of Monel Alloy K500 Fasteners in Worldwide Such as India, Singapore, Macau, Mexico, Bahrain, Zimbabwe, Yemen, Venezuela, Belarus, Nigeria, Pakistan, United States, Iran, Israel, Lithuania, Switzerland, Belgium, United Arab Emirates, Spain, Oman, Hong Kong, Egypt, Mexico, Ireland, Azerbaijan, Kazakhstan, Iran, Saudi Arabia, Czech Republic, Nigeria, Bulgaria, Indonesia, Libya, Romania, Jordan, Malaysia, Taiwan, Slovakia, Brazil, Kuwait, Costa Rica, Chile, Gambia, Bolivia, United Kingdom, Sweden, Finland, Greece, Italy, Kenya, Angola, China, Australia, Serbia, Sri Lanka, Ukraine, South Korea, Argentina, Estonia, Gabon, Japan, South Africa, Denmark, Puerto Rico, Trinidad & Tobago,Tunisia, Nepal, Turkey, Hungary, Philippines, Tibet, Norway, Vietnam, Qatar, Russia, Colombia, Chile, Lebanon, India, Mongolia, Bhutan, New Zealand, Portugal, Bangladesh, Poland, Canada, Morocco, Afghanistan, Ecuador, Thailand, Austria, Germany, Peru, France, Namibia, Algeria, Croatia, Poland, Iraq, Netherlands, Ghana. We are Suppliers of Monel K500 Fasteners in India Such as Mumbai, Al Khobar, Thane, Jeddah, Ranchi, Seoul, Ahmedabad, Kanpur, Manama, Howrah, Courbevoie, Petaling Jaya, Istanbul, Kolkata, Chiyoda, Haryana, Los Angeles, Aberdeen, Geoje-si, New Delhi, Ahvaz, Sydney, Ludhiana, Dammam, Mumbai, Kuwait City, Montreal, Riyadh, Ulsan, Melbourne, Rio de Janeiro, Singapore, Houston, Caracas, Bengaluru, Gurgaon, Navi Mumbai, Abu Dhabi, Rajkot, Dubai, Algiers, La Victoria, Bangkok, Visakhapatnam, Vadodara, Santiago, Bhopal, Madrid, Chennai, Dallas, Doha, Surat, New York, Mexico City, Milan, Thiruvananthapuram, Brisbane, Faridabad, Ankara, Sharjah, Granada, Perth, Edmonton, Noida, Toronto, Calgary, Pune, Nashik, Ho Chi Minh City, Lagos, Nagpur, Hyderabad, Ernakulam, Kuala Lumpur, Vung Tau, Atyrau, Busan, Baroda, Moscow, Jaipur, Jamshedpur, Jakarta, Secunderabad, Port-of-Spain, Al Jubail, Chandigarh, Karachi, Tehran, Muscat, Bogota, Coimbatore, Colombo, Cairo, Gimhae-si, Hong Kong, London, Hanoi, Lahore, Pimpri-Chinchwad, Indore.